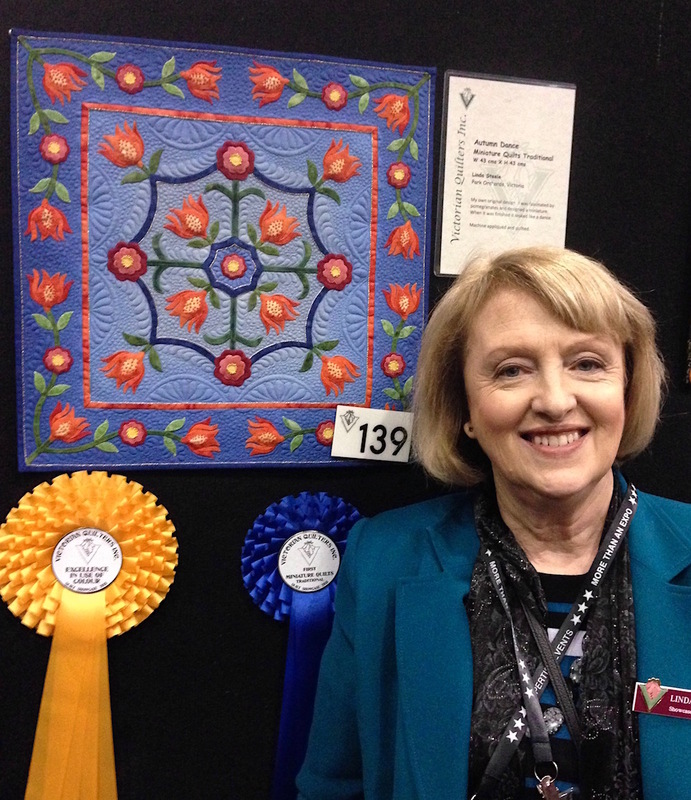 The skills, creativity and hard work of our quilters was on display at Victorian Quilters Showcase. 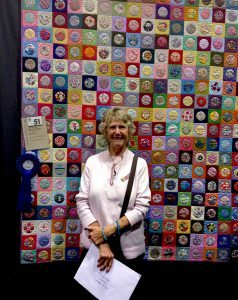 Many were fortunate to have been awarded ribbons in their category or for an individual award. 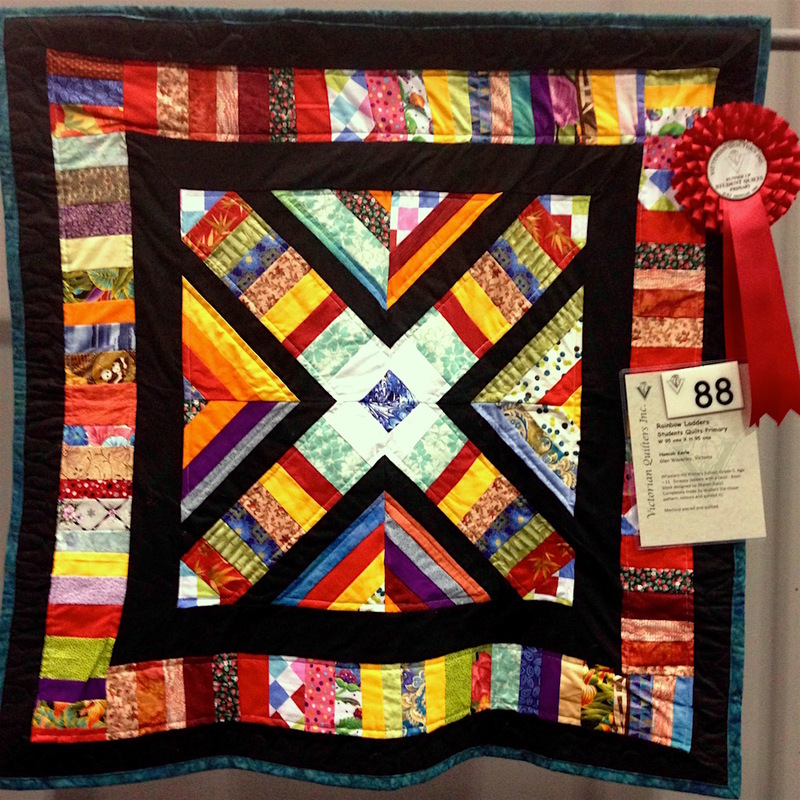 Congratulations to all members of Waverley Patchworkers who had a quilt in this annual show. 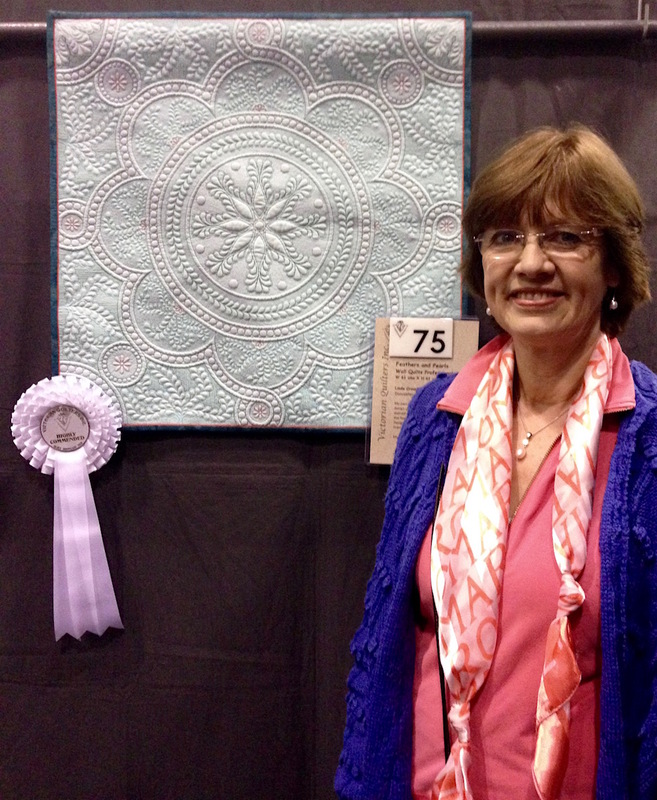 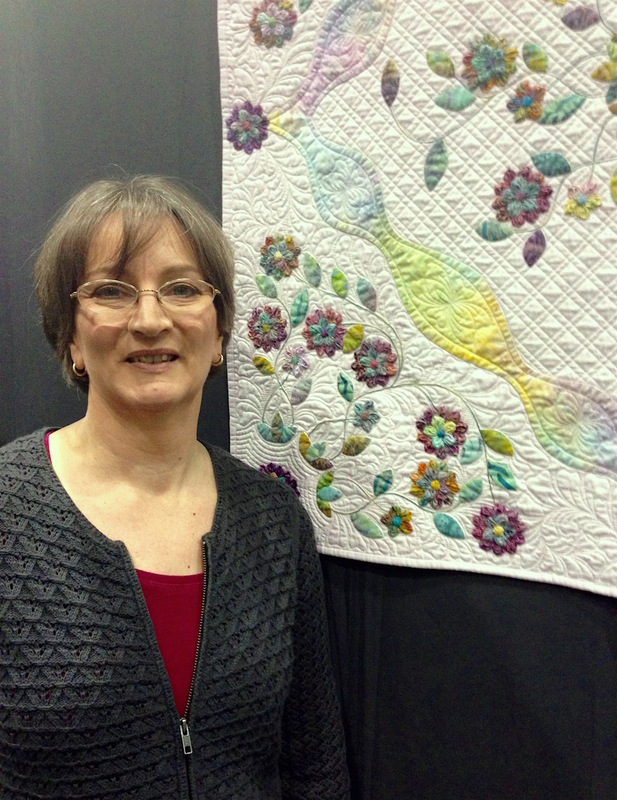 Anne Andrews –Narelle Grieve Award for Excellence in Hand Quilting Amateur for New York Double Dresden. 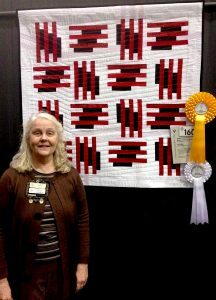 Krista Black – Best Contemporary Quilt Award and Highly Commended in the Modern Quilts category for Slashed with Red. 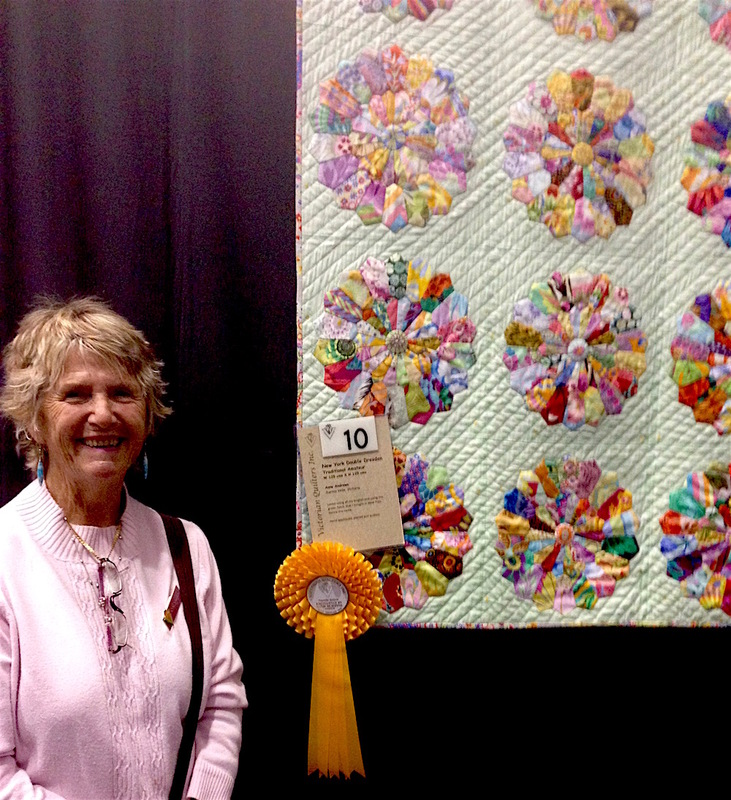 Linda Steele – Excellence in Use of Colour and First in the Miniature Quilts Traditional category for Autumn Dance. 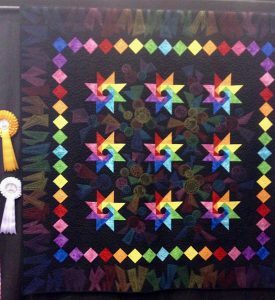 Desley Maisano – Matilda’s Own Longer Machine Quilting Award for Version 3 – Black. 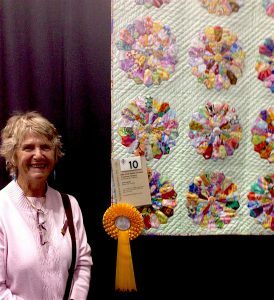 Jan Smart – First in the Traditional – 2 Person Amateur and Professional category for Okehampton. Desley Maisano was the quilter. 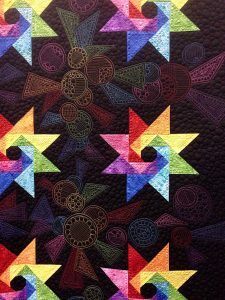 Anne Andrews – First in the Mainly Applique- Amateur category for A Circle a Day. 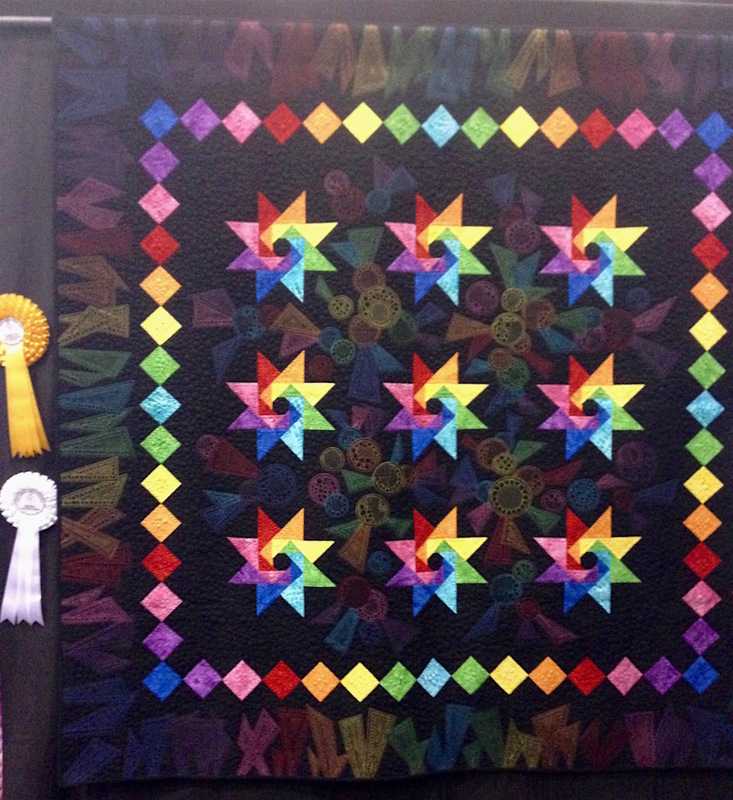 Hamish Kerle – Runner Up in the Student Quilts – Primary category for Rainbow Ladders. 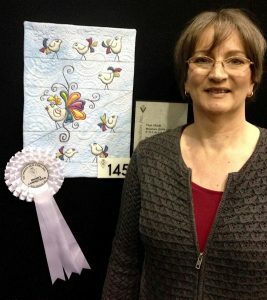 Linda Crouch – Highly Commended in the Wall Quilts – Professional Category for Feathers and Pearls. 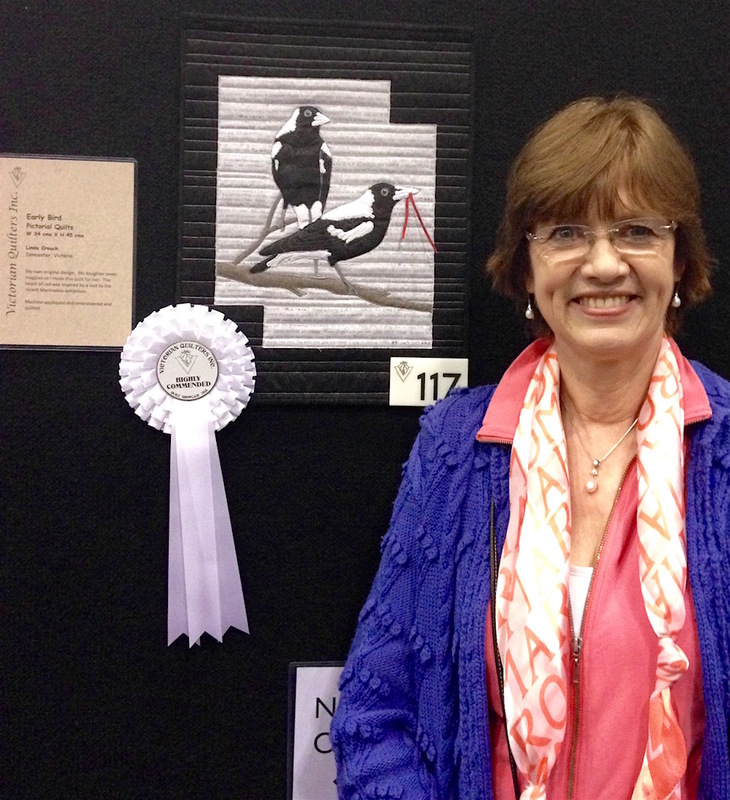 Linda Crouch – Highly Commended in the Pictorial Quilts category for Early Bird. 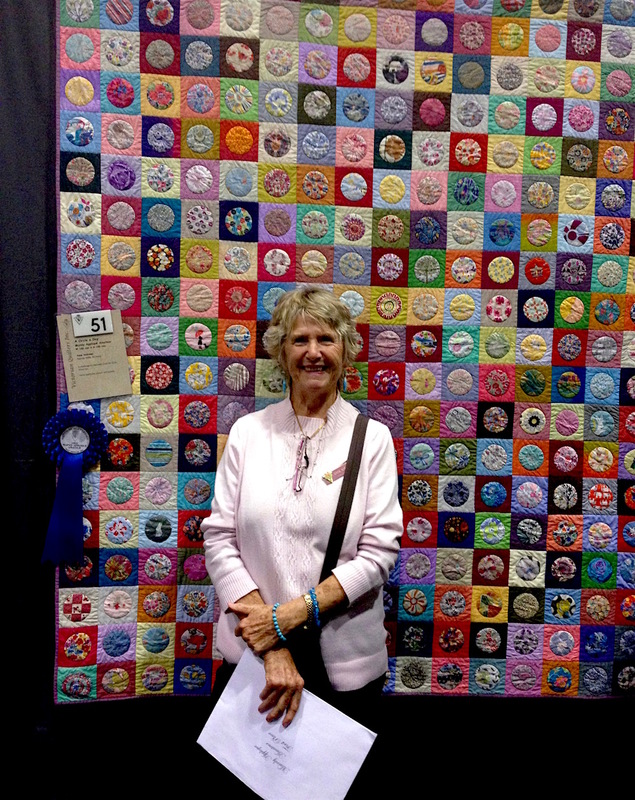 Naomi Hynes – Highly Commended in the Miniature Quilts – Contemporary category for That Chick! 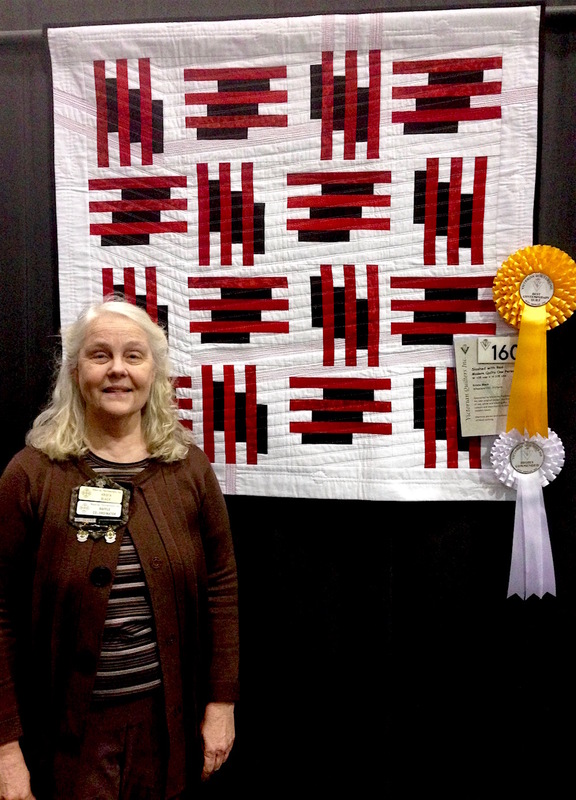 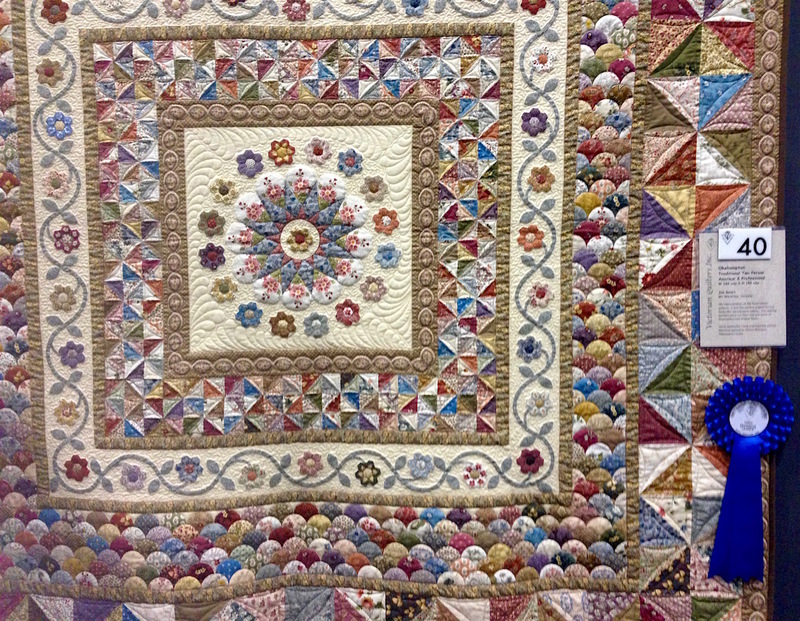 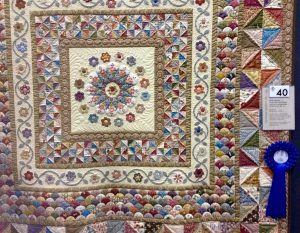 This entry was posted in News, Quilt Show and tagged Victorian Quilters Showcase. Bookmark the permalink. Congratulations to everyone ~ such great creative quilts.